Is it alright to support more than one club? This is a debate that I've had with friends and one that can split a room full of football supporters. Some people feel that you can only support one club and will openly question the character of someone who would even consider supporting another side. There are even supporters who feel that getting behind your country is wrong and that your club side should be the only team you love. They'll tell you that international football just gets in the way of important club football and heaven forbid one of our players gets called up and injured. Club verses country is one thing, but some fans will treat you like a football bigamist if you get behind two club sides. It won't matter to them that the clubs are in different leagues, countries or continents, hell they won't even care if you explain to them that there's no chance your two favourite teams will even meet in a friendly. The truth is that I am like Bill Paxton's character on the HBO series Big Love. No, I do not have a multiple wives and can't even get my head around how that would be workable, but rather I support more than one side. Now before you leave this site behind in disgust, hear me out. The team I support above all other is Manchester United, again stay with me, but as I have lived in Canada most of my life and saw precious few live professional matches as I was growing up, when we were awarded an MLS franchise here in Toronto, I had to get behind the new team. 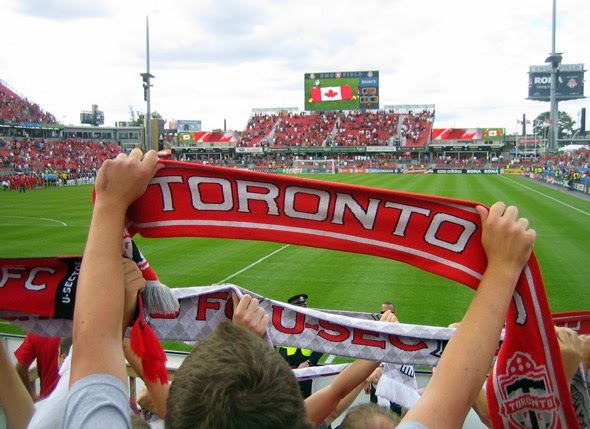 You simply can't beat going to a live match, even if the first six years of Toronto FC led to me witnessing some diabolical play out on the pitch. 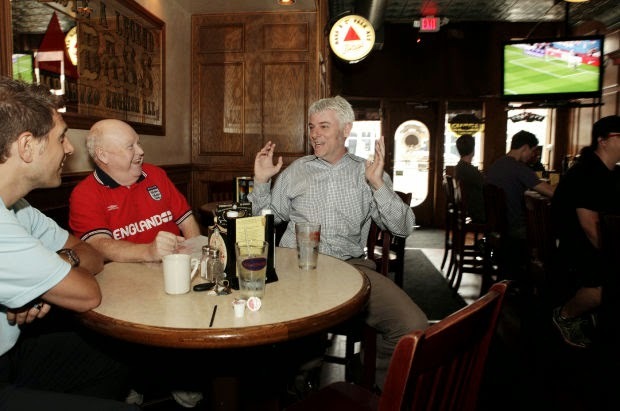 It felt like getting a colonoscopy by a drunken doctor some weeks, as we were savagely mauled by the likes of Sporting Kansas City, but at least we had a team we could see in the flesh. So I make no apologies for supporting two sides. My co-writers here at FootyFair are in a similar boat, as they support Benfica and Newcastle, respectively, as well as TFC. In fact, it's through TFC that we met in the first place and in a round about way started this blog. Now, my seven year old who is just getting into football and is already a United fan and hater of all things Liverpool, has often asked me what if United and Toronto FC ever played each other? Who would I cheer for? Well the only two ways this could ever conceivably happen is if they meet in a friendly or in the FIFA Club World Cup. If they do ever cross paths in a friendly, then the best I could hope for is a good match between the two sides and hopefully a 3-3 draw. The FIFA Club World Cup is another matter entirely, but in the unlikely event that the two sides ever meet in it, I suppose I'd have to support United as they were my first love. Now that brings me to the point of being sensible about choosing a second club. If there's a likely chance your clubs will meet in a meaningful match I kind of question why you would choose to put yourself in that position. I have a friend who supports both Juventus and Liverpool, which considering the history between those two sides and the fact that they will likely meet up in European competition at some point, this seems crazy to me. But then again, he does also support AC Milan as well, so maybe there is something not quite right about this fellow. Finally, although I am a pretty liberal and forgiving guy, the type of fan I can't tolerate is someone who changes teams without a rock solid valid reason. 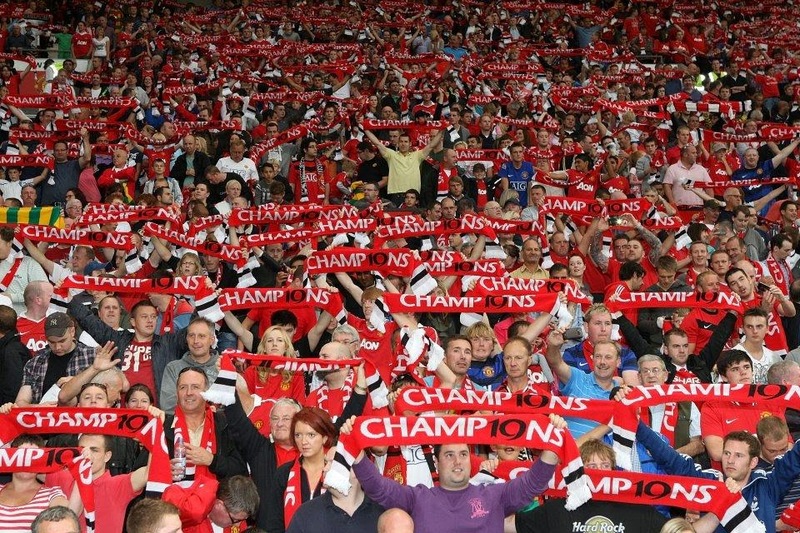 When the Glazer family sunk their claws into Manchester United and a group of disgruntled fans left the club behind to setup FC United of Manchester, that to me was completely understandable. Likewise, the Wimbledon fans who had their club taken away from them, and moved up the motorway to Milton Keynes, which resulted in them started AFC Wimbledon I have complete sympathy for. But someone who changes sides because the club they supported is going through a rough patch and it's more hip to support Barcelona? Those people, unless they're under age 10, are worse than herpes. 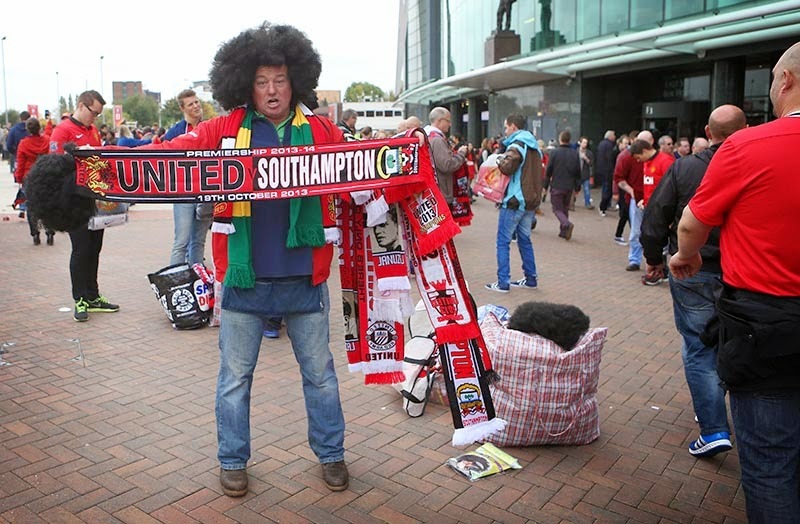 Oh and whatever you do, even if you do support two clubs and they come up against each other, never buy a half and half scarf like the one pictured above. Have some dignity.